Some parts of the country have already been met with wintry conditions and tons of snow, while others are still basking in the last few days of warmth that’s left this year. No matter where you live (except maybe in Florida), it’s inevitable that colder temperatures and winter weather will be approaching soon. 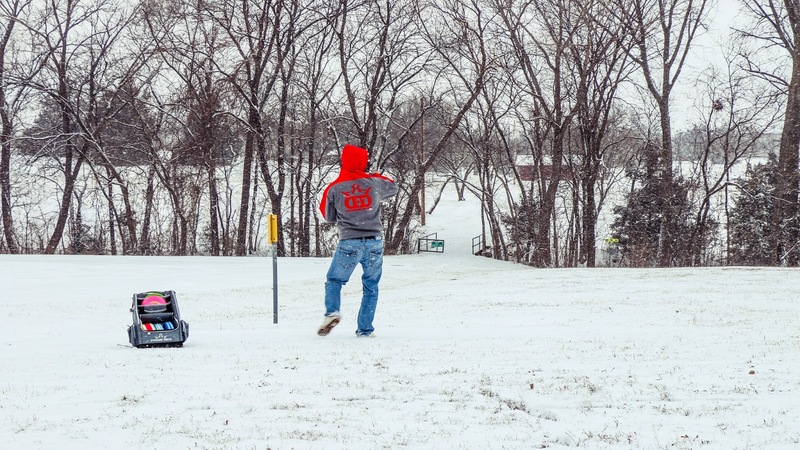 Die-hard disc golfers aren’t afraid to play in nearly any conditions, yet this seasonal change brings about some elements to consider before heading out the door to play a round. How can you stay on top of your game when you’re out in the cold or if it’s too dreary to even go outside? We’ve got some tips that will help players of all skill levels make the most out of their off-season. From discs to clothing to your favorite water bottle you always bring, disc golfers have a routine that they stick to when they head out for a casual round or a tournament. In the winter months, it’s essential to adjust accordingly so that you’re prepared for whatever weather comes your way. Make sure you dress in layers all over your body, with shirts, jackets, pants, and even thermals underneath if it’s warranted. As you begin to move out on the course, you’ll no doubt warm up and will want to strip off some of the clothing you have on. Ensuring you’re properly dressed will go a long way toward a better performance and having more fun. Despite the fact that it might be frigid with snow on the ground, you’ll still need to bring plenty of water with you to the course. While most people think they only need fluids when it’s hot out, the fact is that you’re still sweating underneath your layers while you play. 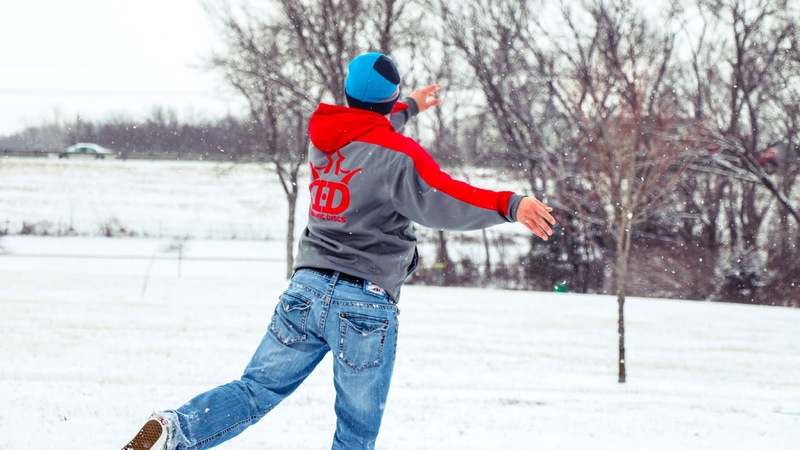 One of the most important considerations to make during winter weather is your disc selection. 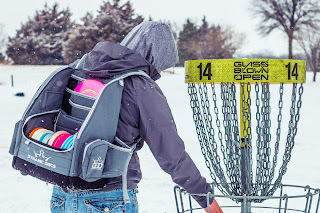 If you have specific plastic that you keep just for colder temperatures, now’s the time to change up your bag and put those discs in. 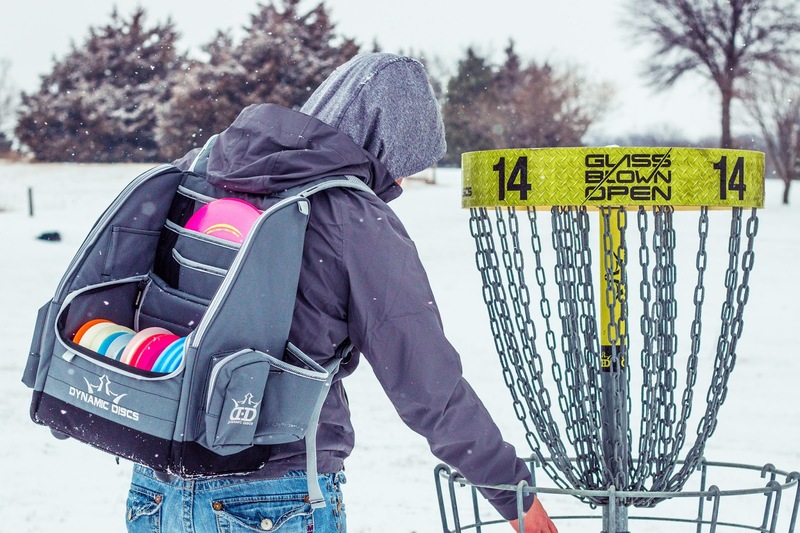 It might also be wise to add some extra backups to your bag as well in case you lose a disc in the snow. We’d bet there’s a good chance that your home course looks a bit different in the winter than it does in spring or summer. Leaves are gone from many of the trees, some branches might even be down from a recent storm, and the ground is definitely harder due to the colder temperatures. With all of that in mind, how does this affect your game and your ability to enjoy your round? It’s probably more advantageous than you think, as changing course conditions requires you to think on your feet and potentially rely on a variety of shots that you may not be used to taking. Even if you know your home course like the back of your hand, it’s a safe bet that playing it in the winter will provide some additional challenges. Be mindful of safety considerations while you’re out in the wild as well, as the hunt for a lost disc may not be worth the injury you could sustain. Ice may often seem thicker than it actually is, and holes that are close to rivers and streams will probably pose more of a threat due to increased rainfall and stronger currents. Buy a practice basket for indoor use so you can keep your putting on point. You don’t have to spend a ton of money on one - both the Dynamic Discs Recruit Basket and the Westside Weekend Basket both come in under $200. Use a baseball net in your garage or basement and launch some drives into it. While you may not be able to go at it with your full power, it’s at least better than having to stand outside in the freezing cold or trying to dodge the keepsakes in your living room. Find an indoor putting league to join, or start one of your own! Many local businesses are open to letting groups use their space, so call around, ask a friend, and see what you can come up with. Before you know it the sun will be shining again and we’ll be playing in the heat, wishing it was cold once more. 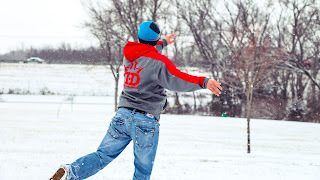 Until then, make the most of wintertime disc golf and keep playing as often as you can!